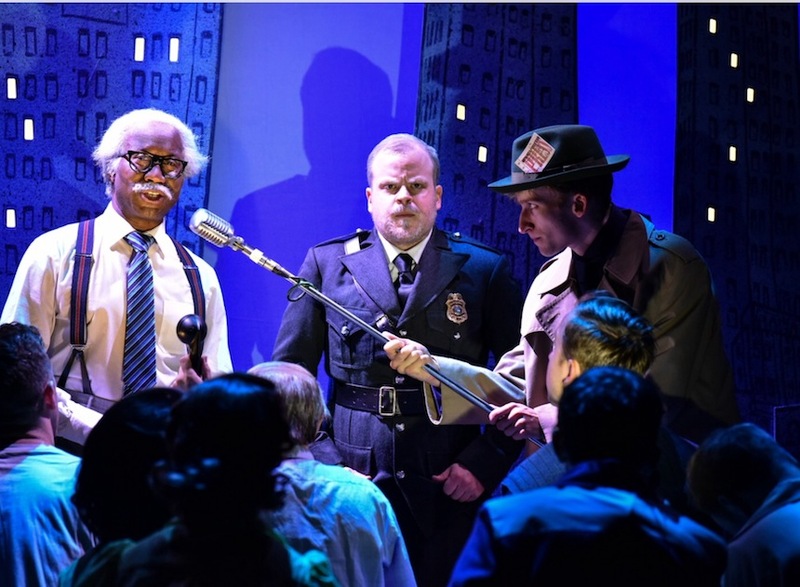 More than a laugh a minute, this play will have you in stitches every few seconds. 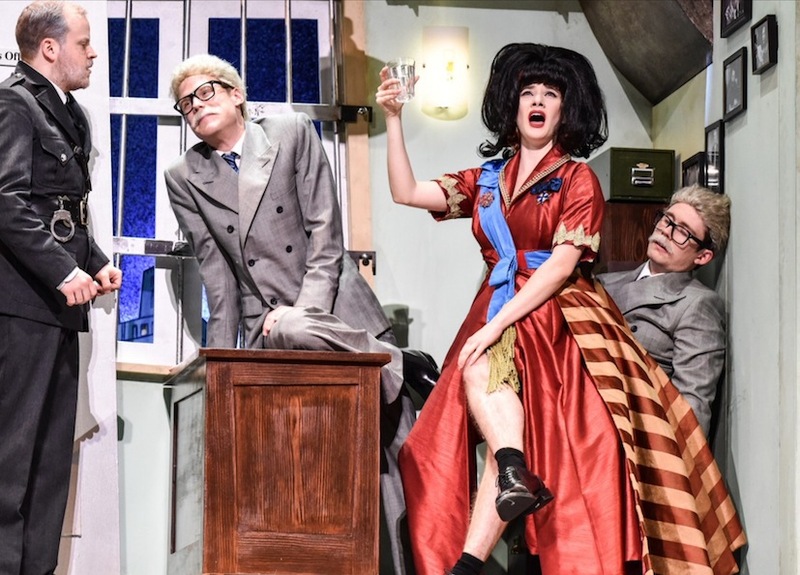 Written by the ingenious talent behind The Play That Goes Wrong, it’s a riotous 1950s American crime-caper boasting a clever mix of mistaken identity, farce and slapstick – all excellently executed by an energetic, all-talented cast. Ex-con and just jail-released Mitch (Liam Jeavons) heads the plot. 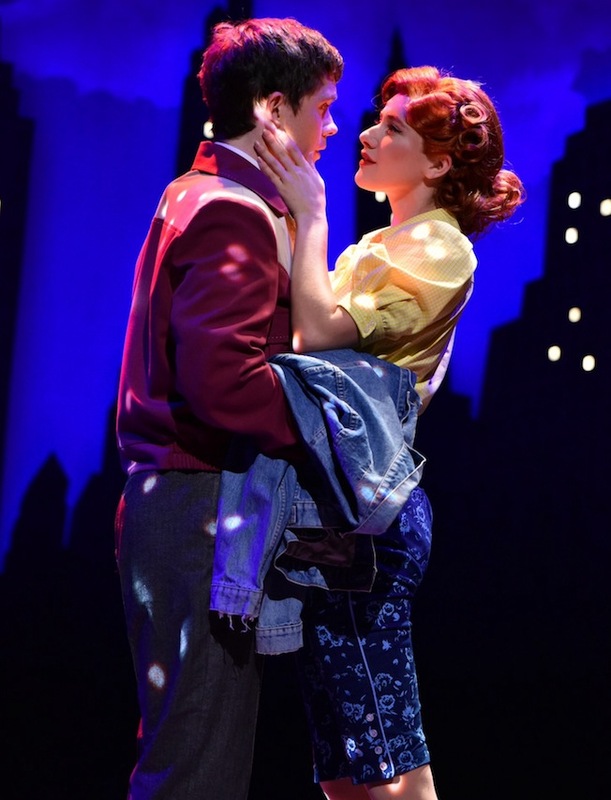 And he’s joined by a bumbling, inept and theatrical jail guard Cooper (David Coomber) plus his gold-digging girlfriend Caprice (played by Julia Frith who absolutely nails it in her professional debut), Caprice, by the way, is actually in love with pick-pocket with a conscience Sam (Sean Carey). 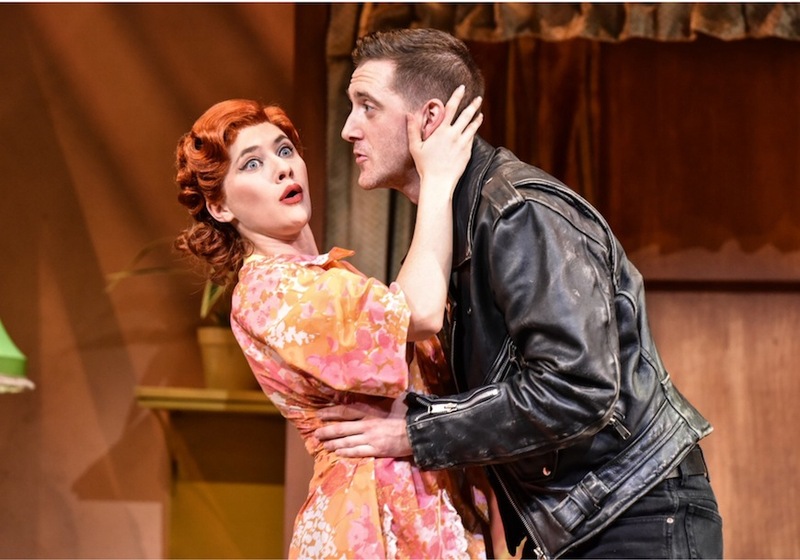 You’re bombarded by one-liners from the moment the curtain rises – and things just get better as the play goes on. We loved the scene where Sam hides from menacing Mitch in Caprice’s bedroom and subsequently takes on the role of her father, with an hysterical Caprice miming him clues as to what he should say to assume his identity correctly. 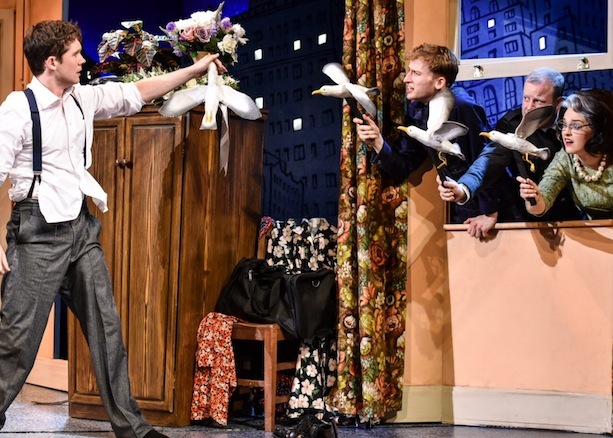 Then there’s comical cavorting aplenty as the crew head to the bank to steal the vault’s key (lots of cupboard fumblings, lost trousers and terrifically timed stage lefts and rights ensue as characters conveniently miss their ‘doppelgangers’ and mistake identities). Plus an ingenious scene where Freeboys and loveable clerk Warren Slax (Jon Trenchard) are ‘hooked’ onto a stage set at a 90 degree angle. (You have to see it to believe it). 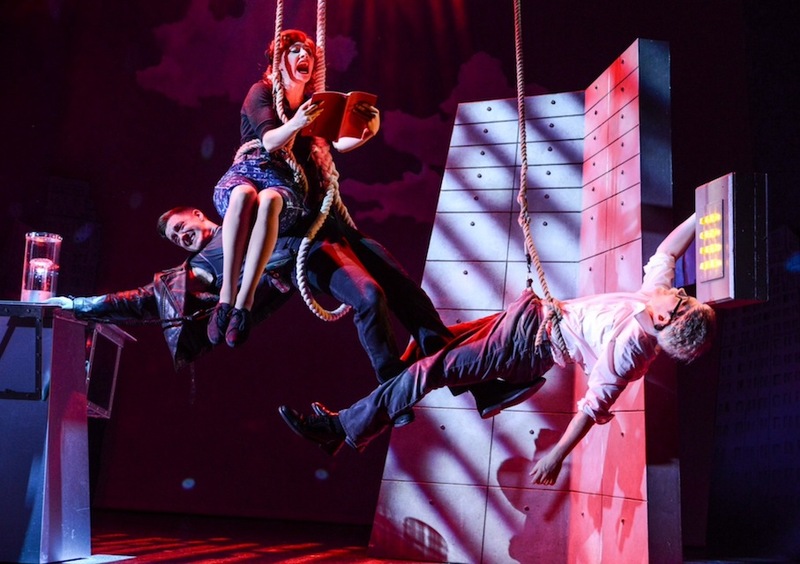 It’s feel-good, superb quality theatre – and it would be criminal to miss it.